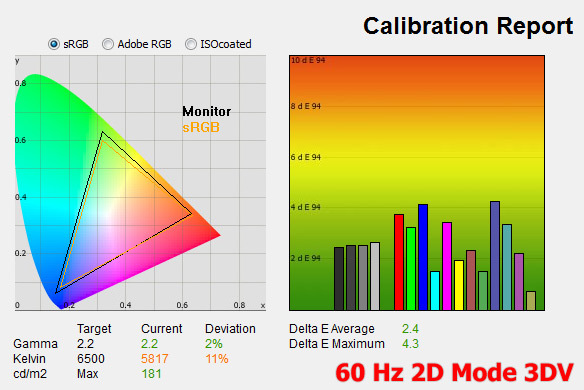 Certainly an interesting move, coming from one of the leaders in high-end stereoscopic 3D monitors, Planar Systems, that is soon going to have a 23-inch 3D Vision compatible LCD monitor. The Planar SA2311W 3D monitor is a single panel solution with a 120Hz refresh rate and Full HD resolution, designed more for 3D entertainment than work, unlike the much more expensive stereo 3D display that the company offers and that are made to be used for professional work with S3D content. 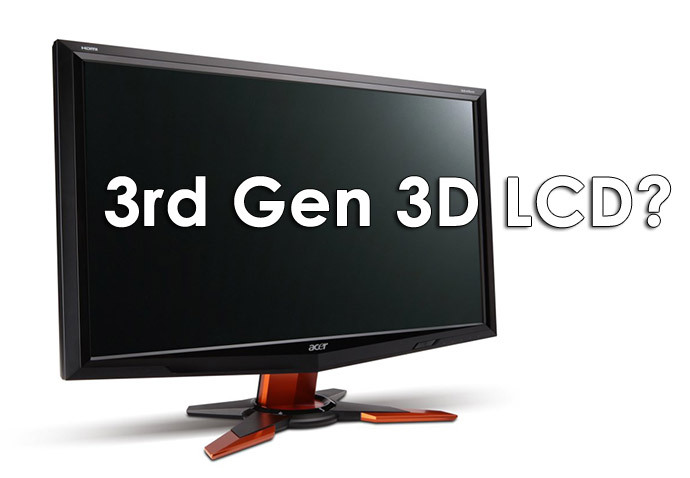 The new 3D LCD monitor form Planar is designed to be compatible with Nvidia’s 3D Vision active shutter glasses and although still not a lot of details about it are available, it is most certainly something to look for with interest. 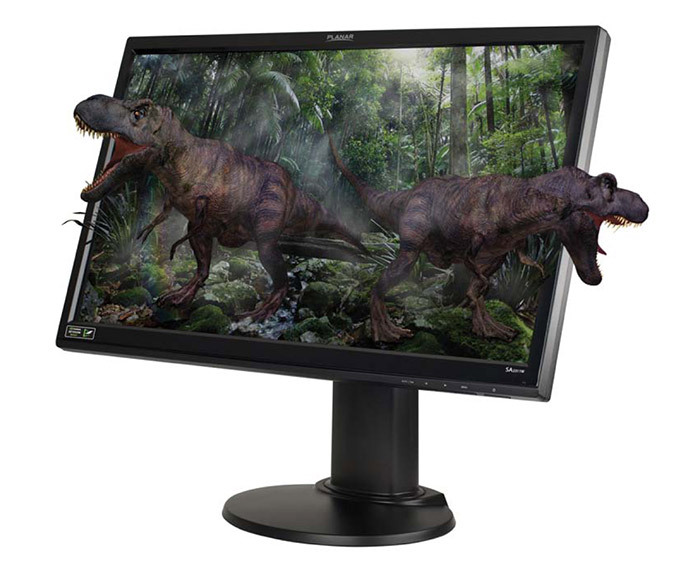 Planar has announced December as a release date for their SA2311W 3D monitor with a price of $449 USD. 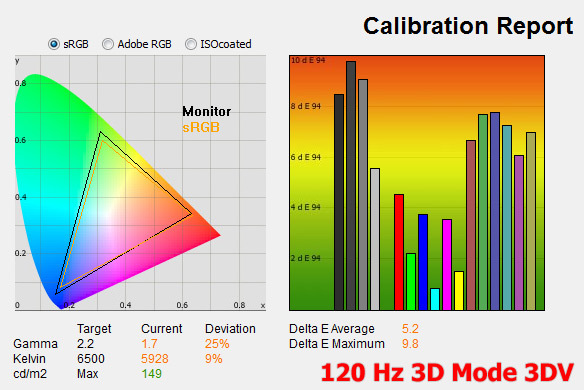 There is still no support for it in the latest 3D Vision drivers, but we’ll probably see it added in the next update as there is one month before the monitor will actually be available on the market. One thing that I’ve noticed about this upcoming monitor is that it will have a built-in function to control the OverDrive (OD) right inside the normal OSD menu… which is good as it should help in getting better image quality when in 2D mode. Planar however did not stop at only a 3D Vision ready monitor, but also have designed a special keyboard for professional users of 3D monitors such as the Planar SA2311W 3D monitor (this is not talking about a gaming keyboard). What is interesting about this keyboard is that it offers seven adjustable light levels (plus off function for the backlight of course), so that you will be able to adjust it in order to see your keyboard’s keys through active LCD shutter glasses. One of the issues that is associated with the use of active shutter glasses is that they block some of the light reaching your eyes and when you work in darker environment, even if your keyboard has a backlight for the keys you may have trouble seeing which key is which through the glasses. 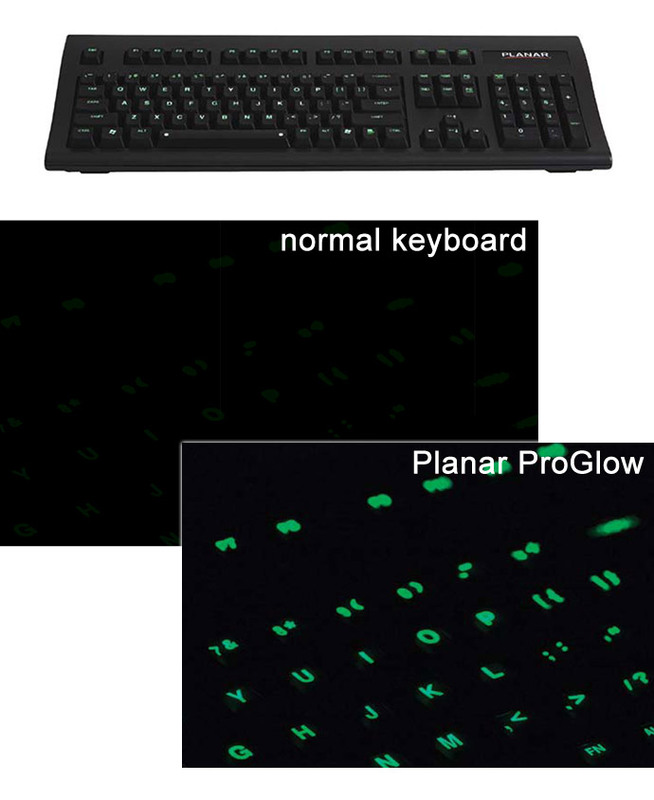 So the Planar ProGlow keyboard is here to help, by offering a classical and reliable design along with blacklight that can allow you to still see the markings n the keys clearly through your glasses and in cool green color. The only not so good thing about this product is the price you’ll have to pay for it which is $185 USD.